How Millennial Women Changed Voting In 2018 — EveryStylishGirl. Has voting become a trend on social media or have millennials truly become advocates for making a change in politics? Although it’s obvious that social media has impacted the way millennials engage in politics, this article will look into ways our generation has come together to make an significant impact. Hopefully, these campaigns and stories will inspire you to get out there and vote! Millennials have also used unconventional social media platforms to increase voter turnout. This week, The Washington Post reported that millennials are now using Tinder to tell people to vote. This article reported that one woman, Emily Myers, matched with hundreds of people on Tinder to tell them to go to vote.org. Sliding into people’s DMs and encouraging them to vote, has been dubbed as “Tinder-banking” according to The Washington Post. One interviewee even said that Tinder-banking has, “much more effective than canvasing in real life.” This could be due to the fact that voting has become trendy. Kei Kawashima-Ginsberg, the Director of the Center for Information and Research on Civil Learning and Engagement at Tufts University, in her interview with The Washington Post said, “Now it’s almost uncool to talk about unpolitical things. If you’re not voting you don’t have the ‘I voted’ sticker, it’s embarrassing.” Moreover, OkCupid has also conducted a survey that asked its users whether or not they would date someone who did not vote. According to the survey, almost half of the millennial women would not date a person who did not vote. Though Miski made an impact as a woman of color, leading more millennial women to engage in this midterm election. One campaign that is important to focus on is #BlackWomenVote. According to their website, “#BlackWomenVote, a nonpartisan voter-activism campaign powered by Higher Heights, is the leading, independent, and trusted voice for Black women leading up to and beyond Election Day 2018.” #BlackWomenVote have been able to tie together powerful women in the government today with influential women from history to demonstrate the importance of voting. Along with #BlackWomenVote, #BlackWomenLead, another campaign, posts about influential women's’ reasons for participating in politics. Kimberly Peeler-Allen, the cofounder of Higher Heights, shared, “I am a Black woman who leads because I refuse to accept the status quo.” Women from all generations are coming together during this midterm election to ensure that their voices are heard, and we couldn’t be more proud. Furthermore, influencers have definitely impacted the midterm election thus far. For example, Forbes reported that after Taylor Swift posted an Instagram photo, where she emphasized the importance of voting, over 400,000 millennials registered to vote. Vote.org’s Director of Communications, Kamari Gutherie told Forbes that, “Taylor had such an impact because her message was genuine and heartfelt. 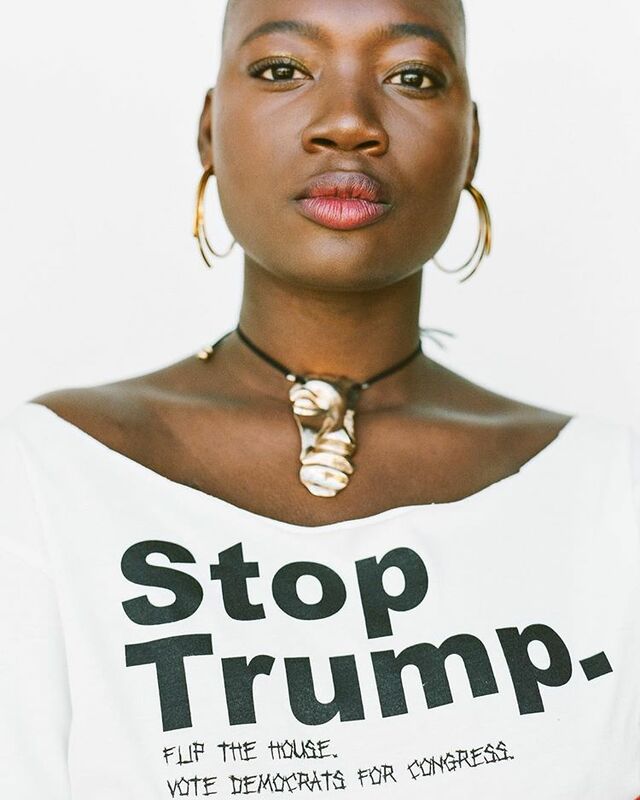 When fans see their role models engage on important issues, they follow suit.” Forbes also detailed how Monique Coleman, from High School Musical, has created videos and has campaigned, specifically with “America To Me,” in order to get more millennials to vote. Moreover, TurboVote has partnered with Instagram and Snapchat to increase voter turnout. Due to their efforts, over 400,000 people have registered to vote as well. All of these campaigns and unconventional methods of voting have inspired thousands of people to engage in politics. Although social media has been denounced during elections, influencers have fought to make a positive impact in this space. Millennials, please exercise your right to vote! Use your social media platforms to inspire people of all generations to do the same. We have the power to change the course of history.